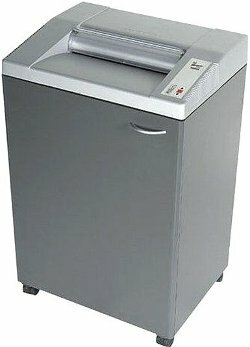 The GBC 5500S Strip Cut Office Shredder - Shreds 20 - 22 sheets at a time including staples and paper clips. 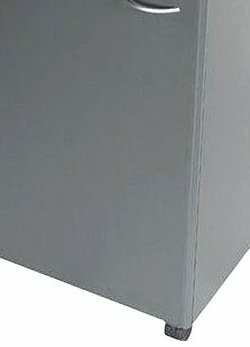 Extra large 42 gallon shred bin. Continuous duty rated motor. Auto on-off button. The shredder has an EZ-feed throat. Bag full shut off. 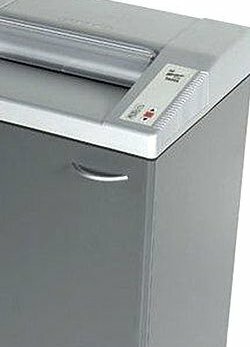 The shredder has an auto on-off jam. SmartShred Controls-separate indicator lights for power on, bin full, overload and door ajar. In-cabinet bag storage compartment ensures bags are always at your fingertips. * Shipping Weight — 57 kg. * Shredder Oil (GBC1760049), sold separately.